What's the Difference between Ductless Fume Hoods, Laminar Flow and Biosafety Cabinets? In laboratory science, the integrity of the process is everything; however, understanding exactly how to guarantee that integrity can be elusive and confusing. With so many air filtration units available, all of them seemingly similar in form and function, which unit is the proper fit for your application? We receive this question often, and we understand that it can be difficult to navigate the task of choosing your air filtration unit. 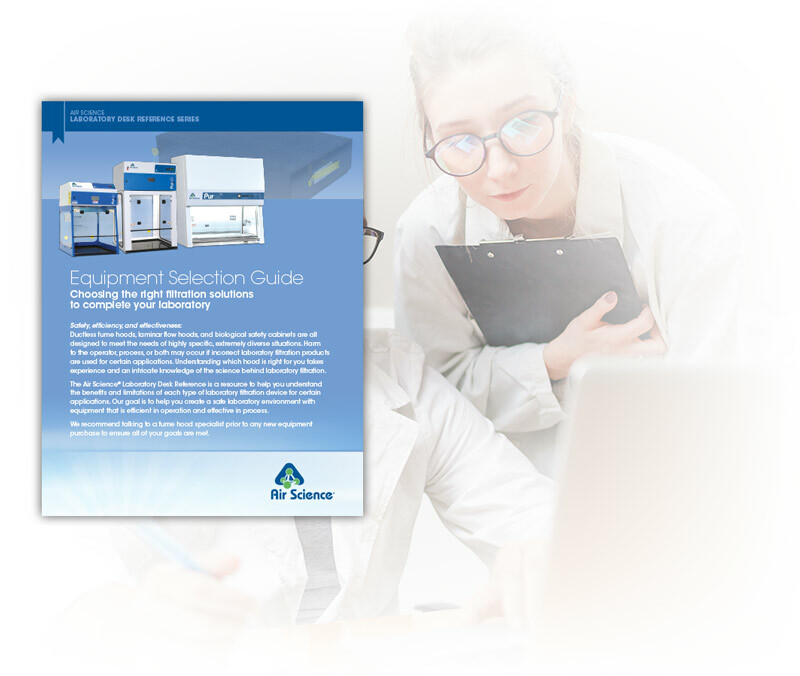 With our most recent whitepaper, the Air Science® Laboratory Desk Reference, we aim to directly address these common queries concerning the best unit for your scientific application, leading you to the correct fume hood unit. An intricate knowledge of the science behind laboratory filtration is necessary to determine which hood is right for you. But you don't have to spend hours of research to come to the proper conclusion. With this newly designed reference list as well as our fume hood specialists that are available to answer any questions, your laboratory safety and processes can be engineered for optimal efficiency. Download our application note today or contact Air Science for one-on-one guidance from our experienced technicians.